A DBA, “doing business as” is a means by which you let the county know what your business name is and who owns the business. A DBA registration is required when the business name is not the same as the individual owner’s personal name. Filing a business name as a DBA with the county does let other business owners know the business name is taken in the county the name is registered. It helps prevent confusion in that typically a business owner looking to file a business name will choose a unique name to stand out from its competitors. It makes no sense to have the same name as another business as this can confuse customers. A client may end up contacting a competitor with the same name in error. Keep in mind a DBA will not prevent another business owner from filing the same name as a corporation or LLC. For example, Branches and Bushes Landscaping can be filed as a DBA. However, another business in the same county could register as Branches and Bushes Landscaping Inc. or Branches and Buses Landscaping LLC. A DBA does not protect the business from a registered corporation using the same name. Typically however, this is not done to avoid confusion. A business owner with a common name such as Bob Smith, would do well to register as a DBA. This will prevent Bob Smith that owns Branches and Bushes Landscaping from being confused with the Bob Smith that runs a plumbing company. However, the reason the county requires registration of a DBA is to aid in identifying the individual that owns a business. Therefore, someone who is trying to determine who owns Branches and Bushes Landscaping can check the name on county filings to see the individual owner’s name. For those wishing to protect their business name and prevent another business from adopting the name, the best strategy is to trademark the name. A trademark is a legal entity that prevents another business from using that name. And, should another business try to use the trademarked name, the owner of the trademarked business name can sue to prevent the new business from assuming the name. This process is be costly and is best pursued using a lawyer that specializes in the trademark process. While a DBA does not afford legal protection or legal rights to a particular business name, it does let other business owners know the particular name is already in use. A smart business owner is not going to adopt a name identical to another business. A poor business reputation belonging to the original business name could carry over to the copycat. Or a lawsuit directed toward a particular name could in error be filed against the duplicate name. 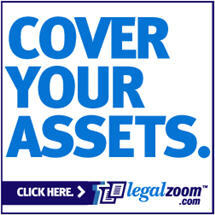 Protect your Business Name with a DBA or FBN from LegalZoom!